Terima kasih kerana sudi singgah ke sini. Wah tak percaya ada blog sendiri! Teringin nak ada blog sendiri sebab tengok blog-blog lain semua cantik-cantik! Dengan template and header dorang cantik-cantik. 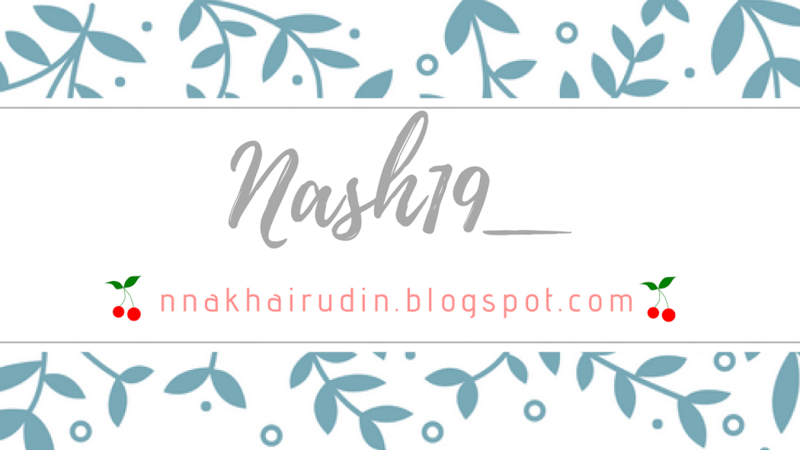 I hope I can design my own blog, and yeah impian dah jadi kenyataan. I inspired to make this blog because of my friends. They are my classmates. Go check out their blog: Zarifah and Syirah. Also I make blog because I want to share anything I want. About my feeling, life, family and all. I also can share the knowledge, right? Oh oh, I can share recipes too! I loves cooking and baking. It doesn't mean I'm always cooking and baking. 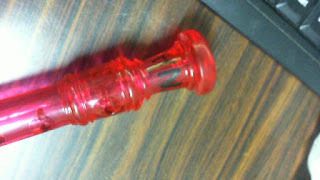 But when I'm in the mood, I will be very active while doing it. Sometimes I'm lazy to cook but yeah, I loves cooking especially baking! It's sooo hard to think what to write in the first entry. It takes a looong time. When I just write some sentences, I delete it back. It happens again again and again. tulis-delete. tulis-delete. tulis-delete (you can repeat it how many times you want). So I decided to start with serangkap pantun haha. Tu jelah idea yg ada. Tu pun lama jugak nak perah otak fikir pantun. So now I have ideas how to start this first entry. 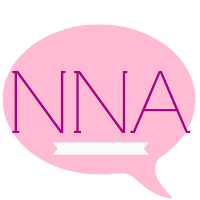 Hmm, maybe you are wondering what is NNA? N is Nur. 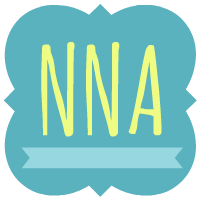 Another N is Nashwa and A is Alia. Yeah, that's my name hehe. Ada cerita di sebalik kependekan nama ni. That time when I was 10 years old (hmm i don't sure actually), I need a recorder (it is a music instrument) for music class at school. so we went to Mydin to buy it. 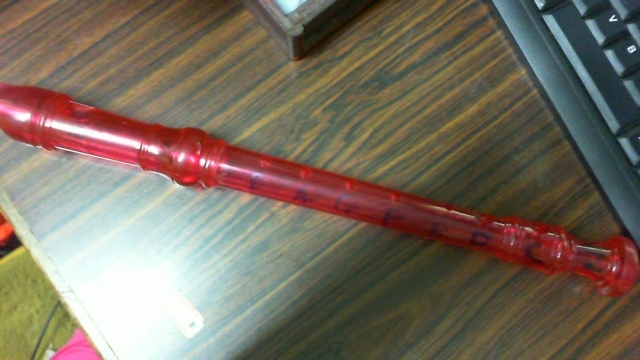 I bought the red colour recorder. After bought it (at home), I wanted to write my name on it but there is no space to write and that time I didn't know how to use permanent marker haha. I just staring at the recorder while holding it, after a while my sister came to our (my sister and I) room. She asked what am I doing. So she took her marker and she suggested NNA name. So I just "Hmm.. okay" (lebih kuranglah cakap camtu cause I don't really remember it hahah). So until now I use NNA as my short name. But my signature is not NNA hehe. So yaa that's the 'history' hahah. Emm, I hope you enjoy this blog. Sorry for all the english mistakes, grammars and all. Haha I don't believe I can write this long but when write essay FAIL. But I hope I can score the essay in PT3 hahah. Sorry because I wrote in 2 languages. MANGLISH. I will try to improve my English. P/S: my birthday is on 1 September! Another 2 days! TESTING HIHI : TEKAN SINI! !